Buy — Aireon Therapeutics Inc. The first product available from Aireon Therapeutics Inc. is our patented (patent pending) CPAP Hydration Fluid. These 12oz containers prefilled with pure hydration fluid are safer than manufacturer recommended distilled water. The single serving size is designed for easier use while at home or while traveling. 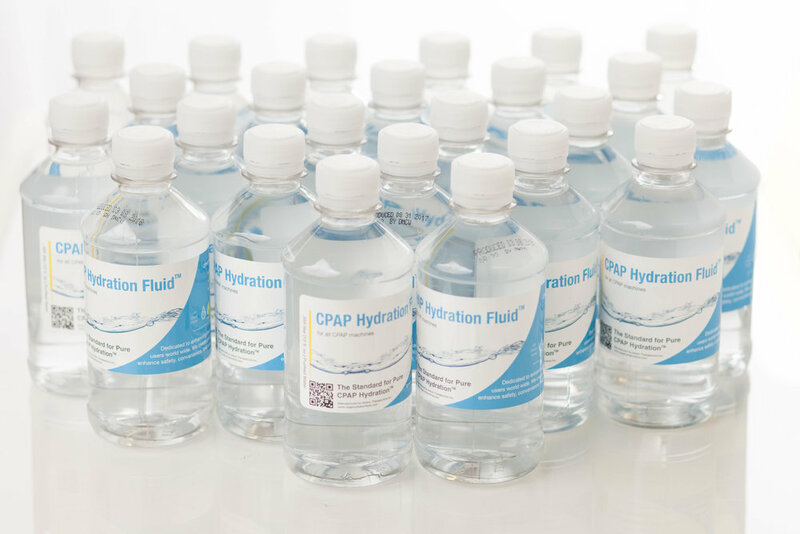 Each order contains 1 case (24 bottles) of CPAP Hydration Fluid. The cost is $47.99 per case including shipping and handling. The purity of our product can reduce the growth of microorganisms like bacteria and fungus that can cause CPAP users to become sick due to continued exposure. * Reducing microorganism growth will also reduce unpleasant "moldy," smells and/or tastes associated with contaminated equipment. Aireon Therapeutics CPAP Hydration is a patent pending technology composed of ultra pure water designed for CPAP users. The product is manufactured using a patented 9 step process and bottled in a class 100,000 cleanroom. When you sign up for a subscription you'll receive one case (24 x 12oz bottles) delivered to your doorstep every month. The monthly subscription plan is $39.99 per month recurring until you cancel.